I know not everyone will agree, but I love the Paris metro. There are fourteen different lines webbing all over the city, trains come every couple minutes, there’s music, there’s art, and it’s relatively inexpensive. Sometimes it’s dirty, sometimes it’s overcrowded, and it has a pickpocket problem, but as city public transport goes, I think it’s pretty great. Before Paris, I lived in Chicago, and let me tell you, waiting fifteen minutes for the red line outdoors in the dead of winter is no fun. Actually, the public transport is so good in Paris that I only see three reasons to take a taxi: 1) it is after 1am or 2am and the metro is closed, 2) you are physically unable to cope with all the stairs, or c) you have to transport something you cannot carry more than three meters. Of course, I’m always the first one to say, “That’s only six metro stops away. Let’s just walk!” because I love walking in Paris, but there are times when you’re running late, it’s zero degrees out, or you’re lugging a 50 pound suitcase (about 23 kilos) and in those instances, the metro is your friend. I took this photo because Botzaris is a funny word. Multiple use passes do exist (3 day pass, 5 day pass, etc) but unless you’ve carefully calculated the value for your needs or if you’re regularly going to be leaving Zone 2 (aka taking the RER to the near suburbs) it’s almost never worth it. What’s up with the zones? Paris has five zones of public transport. The metro and the city of Paris are within zones 1 and 2 (the basic zones you get with any ticket) and the RER and some buses go out to the suburbs, the airports, and Disneyland. The further out you go, the more expensive your ticket is. If you don’t have the right ticket, you could get a fine. Moreover, you won’t be able to exit the RER if your ticket isn’t valid for that zone – you have to put your ticket in the turnstile to get out too. You could get on the RER in Paris with a regular ticket, since the machine doesn’t know where you plan to get off, but once you get out to Versailles, that ticket won’t let you out. Merde. My personal zone pet peeve: You can get to La Défense by metro or RER. If you take the metro, you’re in zone 2 and can use a normal ticket. If you take the RER, La Défense is considered zone 3 and you’ll get a fine with a regular ticket. Considering it’s the same place, that seems a little unfair, no? If you live in Paris, you have a Navigo. Your employer probably reimburses half of the cost. If you’re visiting for a few weeks and you plan on taking the metro quite a bit, it may be worth it to buy a Navigo découvert, which is 5 euros at a ticket window for the card itself (don’t forget to glue on your photo!) plus 20.40 euros for a week pass (or 67.10 euros for the month). Added bonus? It’s “dezoned” on the weekend, which means you can go to zones 1-5 without any added cost. For example, going to Charles de Gaulle airport would normally cost you around 20 euros round trip because it’s in zone 5, but with your Navigo, you won’t pay anything extra on the weekends. Note: The Navigo découvert card is really convenient because you can buy it at a ticket window with no hassle, but if you’re staying in Paris longterm, you’ll want to get an official Navigo card, which you can do in person or online. There’s not huge difference between the cards except that the official one requires a Paris address, but with the official card, you’re protected against loss or theft, and with the découvert, you’re not. I didn’t bother to get the official card when I lived in Paris, and when my découvert Navigo card was stolen, the 67 euros I had just paid for the month went down the drain. Ouch. Update: Prices have gone up since I wrote this. The week pass starts and ends on specific days of the week, not any seven consecutive days, so it may not be worth it depending on the dates you are in Paris. Please verify zone access with a Navigo pass. 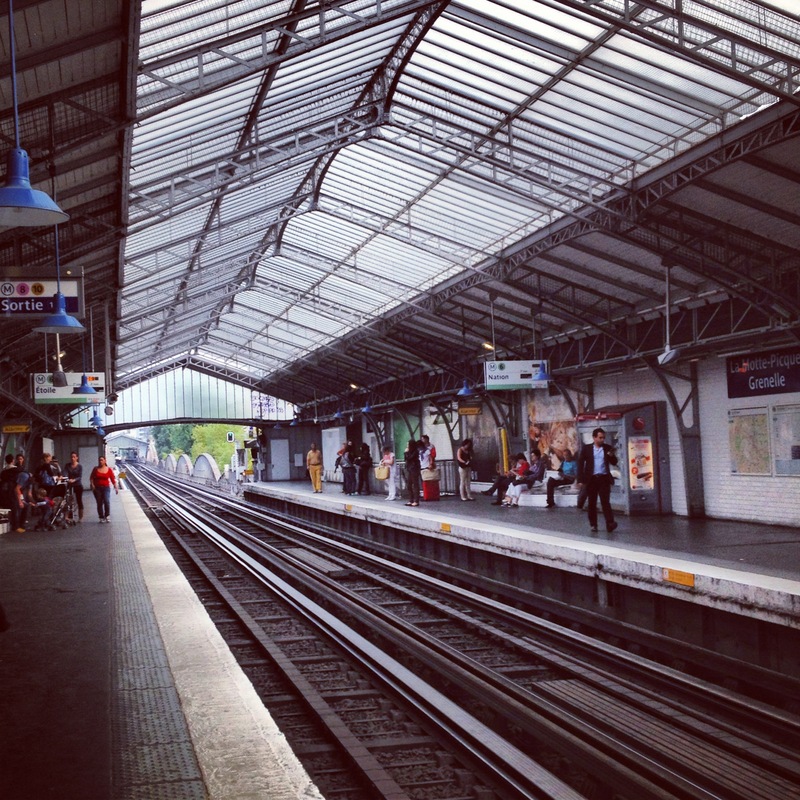 More on Paris RATP transport tickets and prices here. Sometimes you’ll see people in green outfits patrolling around the metro and on the bus. These are the contrôleurs. If they ask to see your validated ticket and you don’t have one, you will get a fine, so hang on to your ticket until you exit the metro in case you bump into these men and women in green. On the bus, usually the contrôleur will ride up front next to the driver, so if you get on the bus and there’s an extra dude in green up there, you’d better make sure you have a validated ticket. You are likely to see people jumping over turnstiles without paying for a ticket. The people at the ticket windows don’t seem to care. It’s not their problem. Once, I saw a well-dressed lady get stuck climbing over a turnstile while on her cell phone, and the woman at the ticket window five feet away didn’t bat an eye. But the contrôleurs definitely do care. You’re most likely to see them in busy stations like Saint Lazare and Chatelet, but I’ve been “controlled” way up in little stations like Jules Joffrin and Simplon at midnight and on Sunday morning. Seriously, there are pickpockets and they will steal your stuff. You know the drill – nothing in your backpacker, keep your purse zipped and in front, don’t have your phone out while the doors are open if you’re by the door. Line 1 is particularly known for its pickpockets because of all the tourists, but I had my keys stolen out of my pocket while commuting home on line 12 to Jules Joffrin in January (a great time of year to be locked out of your apartment, by the way!) There were no suspicious characters around – everyone looked like they were coming home from work, just like me. Thank goodness someone told me this the first week I moved to Paris. A metro stop looks like one tiny dot on the map, but the different exits of one station can spread out quite far, especially if there are multiple lines that stop there. For example, Chatelet has more than eight different exits, so saying “I’ll meet you outside the Chatelet metro stop” isn’t specific enough. RATP route calculator here and RATP website here. I like this post on the Paris metro by Almost Never Clever so much more than mine. I have spent way too much time playing this game that tests your knowledge of the Paris metro map. 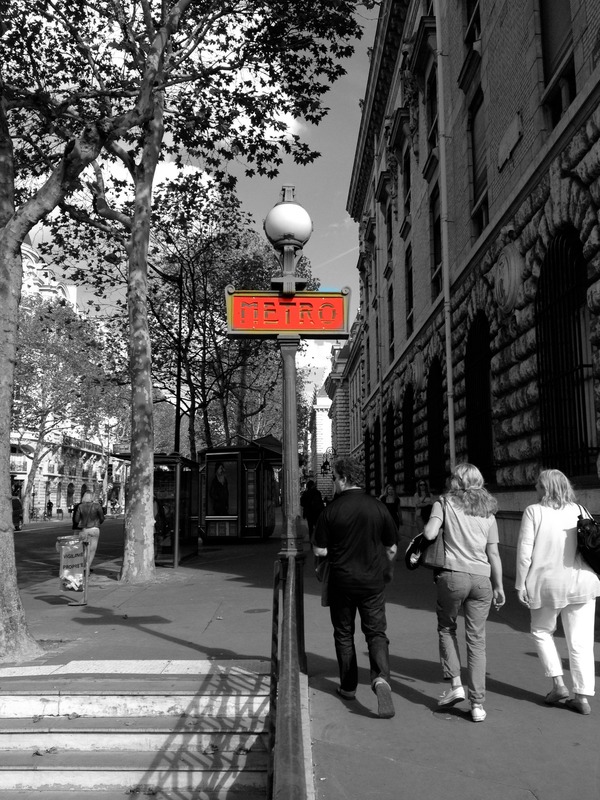 There are quite a few Paris metro stations that are no longer in use – the ghost stations.